Our 6-year-old son loves ice cream. As a matter of fact, that’s his constant request every time we’re at the mall. We were at Serendra last Saturday, and as expected, he asked for a scoop of ice cream from Gelatissimo. Gelatissimo is Australia’s most popular gelato. Gelato is the Italian word for “ice cream.” It is derived from the Latin word “gelatus” which means “frozen.” Gelato is healthier than regular ice cream because it has lesser butterfat. Gelatissimo’s dairy range flavors are 90% to 97% fat-free, and they use only the finest local and imported ingredients. Because it’s a lot cheaper if we buy two scoops (Php160.00), instead of just one scoop (Php110.00), we chose to get the bigger cup and ordered one scoop of White Chocolate (the little boy’s choice) and one scoop of Chocolate Truffle (his Dad’s choice) for father and son to share, but because our little boy wanted both flavors so much, he ended up eating everything. He said he liked the White Chocolate more than the Chocolate Truffle, but his Dad and I preferred the Chocolate Truffle. Both gelato flavors were smooth, rich and yummy. 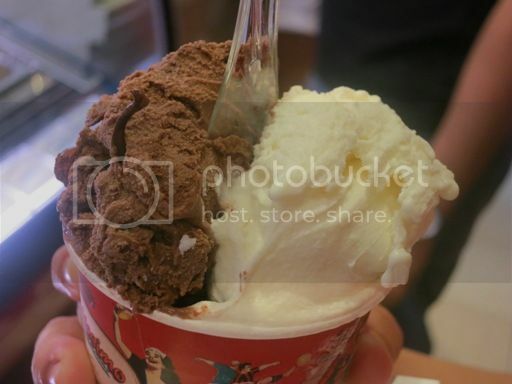 This entry was posted in Gelatissimo, Gelato, Ice Cream, Serendra. Bookmark the permalink. I have not seen you in such a long time! 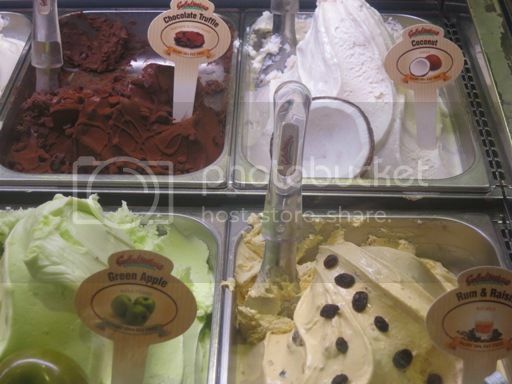 Anyway, the gelato looks sooo tempting! I tried this already but I was not very impressed. The only gelato that passed my taste was that stall in Megamall – Angelati Italia Gelato, Pure Pistachio variant to be exact. All other gelatos just can’t come close.